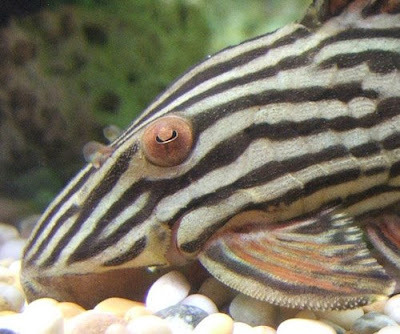 The Gold Royal Pleco or Panaque nigrolineatus is an easy to care for freshwater aquarium fish. Native to South America this fish can grow up to 15" in length. They are easily recognizable by their strange golden stripes. 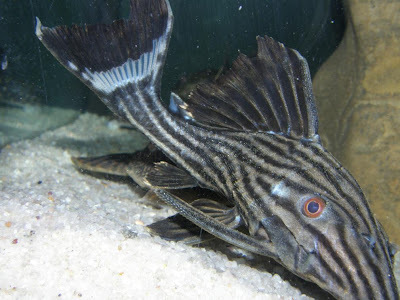 The Gold Royal Pleco is a bottom feeder that often helps clean up an aquarium tank by eating left over food or algae. This fish will eat flake food and pellets. This freshwater fish is also known as the Royal Plec or Royal Panaque. A tank of over 100 gallons and lots of plant life and hiding spaces will help with fish stay happy. 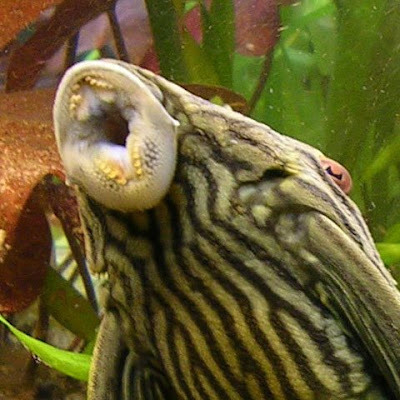 For some strange reason this fish is able to digest wood, I am not quite sure why or how scientists figured that one out. Maybe you know? You can check out a Pleco doing just that in the video below.